So I got tired of all the happy summer reads, after the last one left a bad taste in my mouth, and decided that perhaps I might give Science Fiction a go. I rarely read Science Fiction, because I hate science and could never really understand it. So while The Hitchhiker’s Guide to the Galaxy is pretty much a classic, I’ve never read it and thought it was time to try. I bought this book a long time ago – it’s one of the oldest books in my Kindle collection; I got it after reading that it was one of the top books recommended by Elon Musk, the CEO of Tesla and SpaceX. I’ve been following him and his story for years; I find him intriguing and inspiring, so I wanted to read something that he recommended in the hopes that it will provide some insight into how he thinks. This costs about US$7.99 now on Kindle. 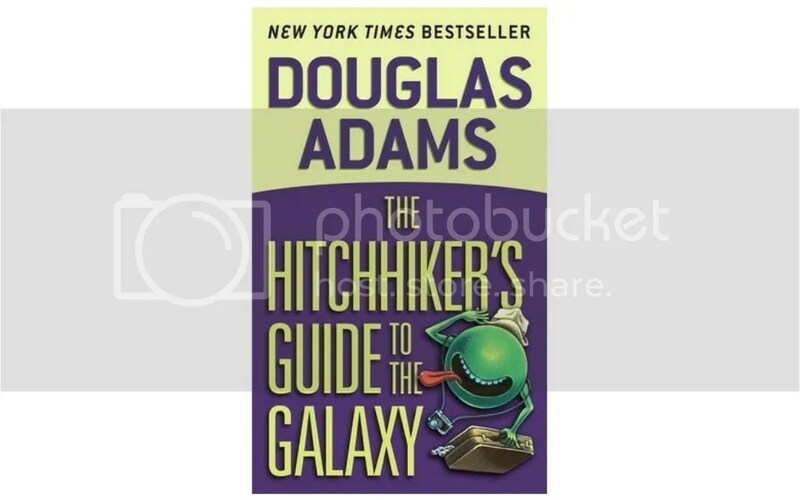 The story follows Ford Prefect, an alien and one of the editors of the Hitchhiker’s Guide to the Galaxy, and Arthur Dent, a human who was rescued by Ford after planet Earth was destroyed by the Vogons to make way for an obsolete intergalactic freeway. Initially, Ford and Arthur escapes by hitchhiking a ride with the Vogon ship’s cooks, but was found by the Vogons and thrown out of the spaceship, left to die in space. Luckily for them, they were picked up before their breath ran out, in all improbability, by Ford’s semi-cousin Zaphod Beeblebrox and his human companion Trillian. Zaphod and Trillian stole the Heart of Gold spaceship, which amazingly picked up Ford and Arthur when they use the Improbability Drive on their way to the planet Magrathea. Magrathea was a planet that made other planets for rich people but it disappeared when Magrathea became the wealthiest planet and the economy collapsed. Zaphod isn’t sure why he wants to find it; Magrathea seems dead, but it isn’t – the planet has just gone to sleep and the computers, which were index-linked to the Galactic stock market prices, will revive everyone when everybody else could afford planets again. Zaphod, Ford, and Trillian go exploring inside the planet, while Arthur and Marvin the depressed robot are left on the surface. Then Slartibartfast from Magrathea finds Arthur and tells him the truth about Earth. Earth was actually made by Magrathea, paid for and run by the mice, which are actually “hyperintelligent pandimensional beings”. So Earth was actually a giant computer designed by Deep Thought, an earlier computer that was created to find the answer to the Ultimate Question of Life, the Universe and Everything – which took 7.5 million years to calculate. Now they have the answer – 42. But what is the question? As Deep Thought says, “once you do know what the question actually is, you’ll know what the answer means.” So they created Earth to find the Question. The mice think they can still find the Question – by chopping up Arthur’s brain, since he was a part of it and one of the last there. Luckily, Arthur and his friends escaped. This was one of the most painful books that I have ever had to make myself go through. I didn’t get the humour, and there were too many made-up names and characters that I could barely keep up. Perhaps I’m not smart enough to understand; I did already know that it was going to be a tough book to read given my inclination to hate anything science-related. But there were a few bright spots about the book. The amazing thing about the book was all the inventions or gizmos; a lot of these actually exist for us now. Note that the book started as a radio comedy broadcast in 1978, so when it was written this must be an incredible and rather ridiculous book of imagination. There’s the Babelfish, which is a fish that goes into your ears and translates everything for you – that happens to be name of a translating website I used as a teenager. I could see that this book was the motivation and inspiration for many creators and inventors out there; Douglas Adams probably thought of all these things just as part of a book, but many of his readers saw the potential in his creations and made them in real life. The electronic book that held the hitchhiker’s guide – that was just a dream in 1978 but nearly everyone in the developed world has one now. But ultimately, it’s an incredibly confusing book to read for the uninitiated and unprepared; if you dislike science and/or science fiction books or is born in a generation where Google probably holds the answer to everything, this will be an incredibly painful journey as it will be hard for you to understand what was amazing about the book.